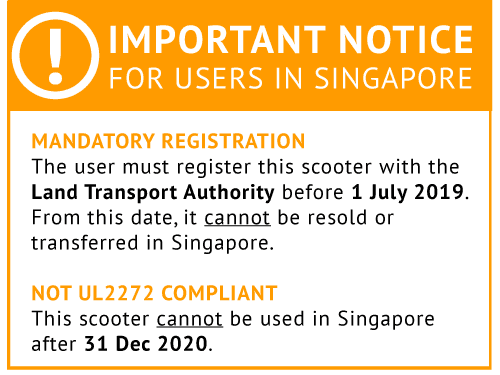 The MYWAY Quick is the pioneering electric scooter in Singapore. Making it's debut in 2013, there are already over 1000 MYWAY's around in Singapore. Our certified pre-owned MYWAYs come with a 6 month limited warranty from the official distributor. A new and improved version of the MYWAY is now available from the same inventor, it is the INOKIM Quick 2 (launched in April 2015). The MYWAY is no longer in production but fret not. If you are convinced you want the original MYWAY, you can now order a Pre-Owned MYWAY that is refurbished to "like-new" status. Availability of Pre-Owned MYWAY is extremely limited.